Our aim is to facilitate the achievement of your objectives through our range of services, which are carefully designed to add value to your business and result in the creation of corporate and personal wealth. To help you reach your goals, we get to know your business intimately, together with the environment in which it operates. 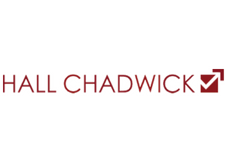 Hall Chadwick has a successful history of advising network marketing companies in Australia from start-up through to maturity. Our partnering approach and commitment to client service will ensure that timely and effective advice is provided and the most productive outcomes for your business are achieved. Our knowledge of the industry and relationship with the DSA, it’s members and supplier members enables us to deliver real value to our clients.